Who’s bad? Donald Trump says Nene Leakes is a Ticking Time Bomb! cincomom March 2, 2011 Comments Off on Who’s bad? Donald Trump says Nene Leakes is a Ticking Time Bomb! 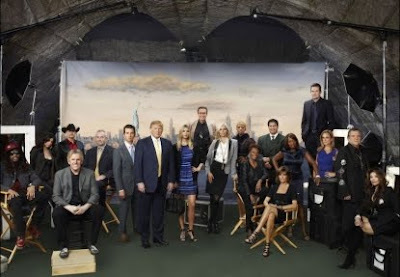 Time will tell and this Sunday we will certainly see who actually is the explosive one on the Celebrity Apprentice. 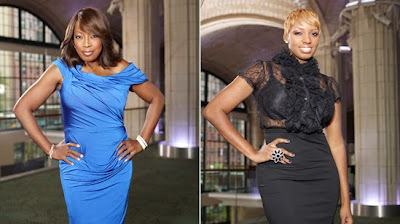 We all know that Nene Leakes and Star Jones have had some major beef on the show, but since Nene’s been the only one going about blasting Star, we can only assume that Star’s the bad seed in all of this, right? However TODAY on Regis and Kelly, real estate mogul Donald Trump let the cat out the bag and put Nene on blast by revealing that she, in fact is the explosive one! Nene’s more mean than the Queen of Mean-Amarosa? Nene told Wendy Williams that she wouldn’t spit on Star jones if she was on fire. However, doesn’t seem like Trump would ever want breathe the same air as Nene again. Nene’s going to have to tone-down her style if she wants a lasting career in the Hollywood lights. Those lights fade quite fast, especially if you’re a difficult person and being loud and ghetto is your calling card. Star has tried to be professional not perpetuate the stereotypes that black women seemingly have as being loud and in-your-face offensive. “It isn’t an approach that works in the professional environment,” Star says. “And it isn’t an approach that most sisters use in interacting with each other. I would hope, as she (Nene) becomes more exposed to a variety of professional situations, she will tone down the vitriolic emotional reactions and learn to express herself in a manner that is more reflective of the majority of black women in America.” Well said Star. I agree. Nene might make good for TV ratings, but people are only tuning in to see a stereotype and to get a good laugh out of a loud, black, neck-rolling, sista with an attitude. And Nene takes no prisoner. No one’s a freind, not even her used-to-be best buddy Lisa Wu Hartwell. Just last week, Nene and Lisa were going back and forth on twitter as it was reported that Nene spoke out against Lisa saying that Lisa was having a side affair with her ex-hubby Keith Sweat. Nene supposedly said that was the reason Lisa was kicked off the Real Housewives on Atlanta. Lisa was tweeting asking Nene to call her. And it was apparent in her later tweets that Lisa was hurt that Nene would go there and their friendship was now a wrap. And let’s not even talk about the constant catfights, verbal confrontations and neck-choking that broke down Nene’s relationship with fellow housewife Kim Zolciak! It’s a sad situation when you dog out your friends. Because the same ones you step on going up the ladder, you’ll see on your way back down. That’s not the legacy that we sistas should leave for our kids. I commend Star for taking the high road in the Aprrentice drama. And I hope Nene does tone it down in due time. Time’s a-ticking Nene. Are you going to keep blowing up like a bomb? Or act like a lady and keep it calm? Get the popcorn ready and tune in to see the drama unfold on NBC’s Apprentice this Sunday March 6, 2011.